Kankadapal village is the worst hit where people have already lost several acres of crop lands and houses to the river. BALASORE: Heavy rainfall triggered by the severe cyclonic storm Titli has given sleepless nights to people of villages located close to Subarnarekha river that flows through Balasore district. 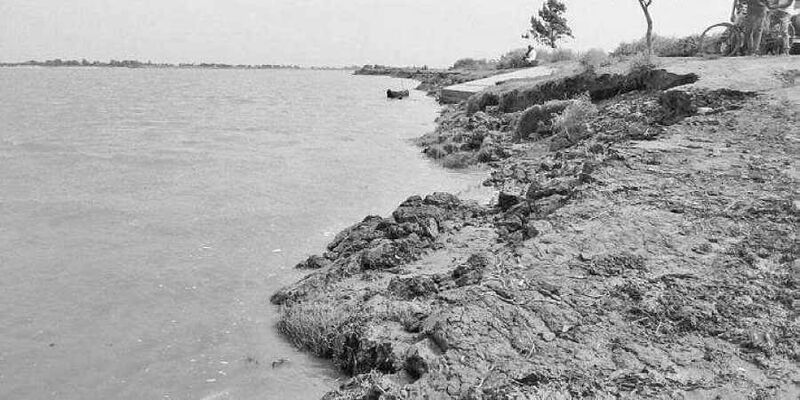 Every time the district faces heavy rainfall or floods, it results in erosion of Subarnarekha embankment. Around 30 families of Rashalpur A and Rashalpur B under Bishnupur panchayat of Baliapal block have been rendered homeless due to erosion in the last five years. Despite this, no steps are being taken to construct embankments to prevent erosion by Subarnarekha. The river is also eroding villages located close to its mouth near Dagara beach in Baliapal block. Kankadapal village is the worst hit where people have already lost several acres of croplands and houses to the river. The village had 327 families a decade back but 127 of them have lost their homestead lands and agricultural fields to the river that is menacingly inching closer to land. Villagers said Test Relief Embankments (TREs), which were constructed with a height of one to two metres, are not able to check river water and have been damaged in last year’s flood. However, these structures are yet to be repaired. TREs were built over a river stretch of 80 km under the Food for Work programme between 1978 and 1980 with financial assistance from World Bank. Although it was planned to construct another 30 km of TRE, it could not be done due to a shortage of funds. Apparently, erosion is being reported from this stretch of the river every year. In 2008, the Water Resources department drew the attention of both State and Central governments towards the need of embankment construction on the 30 km stretch but no action was taken. Bhogria MLA and Minister for Higher Education Ananta Das said after 2006 floods, a proposal under Subarnarekha Sanskar Yojana was placed before the Centre for construction of embankments, stone packing on both sides of Subarnarekha river and renovation of the river mouth. The project would have cost `960 crore. “However, the Centre has been sitting on the proposal ever since,” he added.